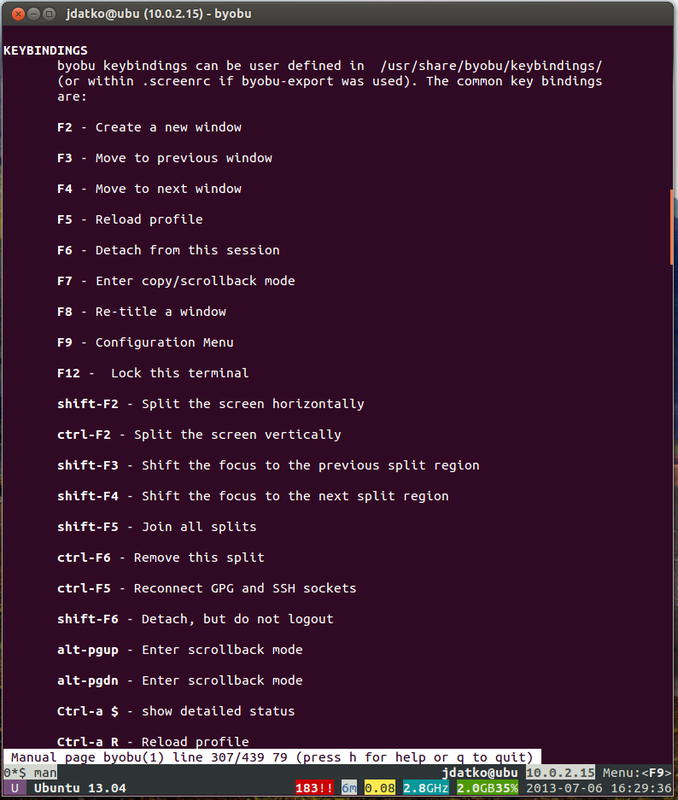 As I’m working more on the command line now, I’ve been trying to incorporate GNU Screen into my workflow. Some might argue it’s a bit redundant when using a window manager and a terminal that supports tabbed sessions, but I prefer not to deal with the tabs and it’s nice to attach to a screen and pick up where I left off. And I was quite happy with GNU Screen. The only issue is that I had to change the default escape key \C-a to \C-\ since I heavily use \C-a in both Emacs, GNU readline and zsh to go to the beginning of the line. (Actually, I use prelude’s smarter-move-beginning-of-line in Emacs.) Anyway, I quickly changed the escape to C-\ with this line in the .screenrc: escape ^\\\.